From the Top performers are more than just impressive musicians—many of them are just as accomplished in their other areas of interest! This week, we were privileged to speak with one of these multitalented individuals: 16-year-old pianist and Jack Kent Cooke Young Artist Award recipient, Coco Ma. Coco, a Juilliard pre-college student, was recently featured on Show 338, recorded at Carnegie Hall in New York City. In her interview, Coco described her passion for literature, and revealed that she’s just finished writing a Young Adult fantasy novel! 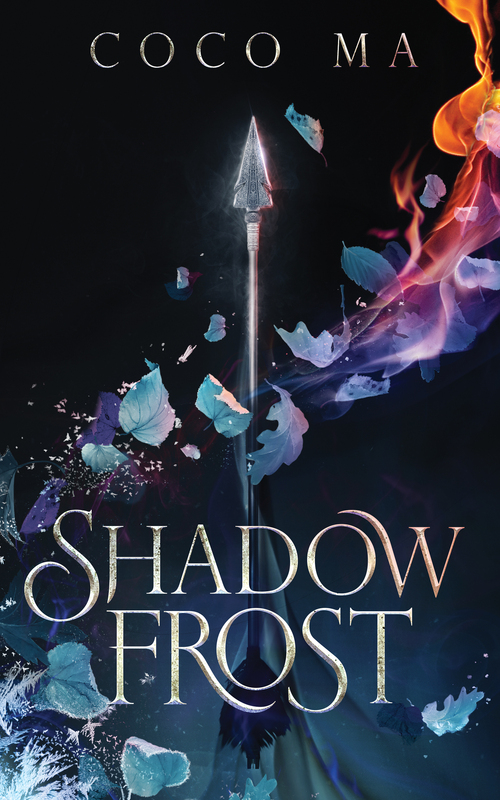 One of Coco’s favorite parts of her From the Top experience was having the chance to speak at greater length about her book, SHADOW FROST, on our podcast. The book is 110,000 words in length, and features cover art designed by Blackstone’s Kathryn G. English. Coco shared with us that, while the idea for the book may have come to her in a dream, it features elements from the classic fairytale, Snow White and the Seven Dwarves. This, she pointed out, places her in a long history of storytellers who have reimagined these timeless tales in fresh ways. She was careful to emphasize, though, that SHADOW FROST is not necessarily a full retelling of the fairytale, but that it does contain some nods to the familiar story in some of its content. If you were as impressed by Coco’s reading of excerpts from her book as we were, here’s your chance to get a sneak preview. Check out a synopsis, followed by an extended excerpt, of SHADOW FROST by From the Top superstar, Coco Ma, below! Many soldiers from the royal guard are sent out to hunt it down. Not one has ever returned. When Asterin Faelenhart, Princess of Axaria and heir to the throne, discovers that she may hold the key to defeating the mysterious demon terrorizing her kingdom, she vows not to rest until the beast is slain. With the help of her friends and the powers she wields—though has yet to fully understand—Asterin sets out to complete a single task. The task that countless, trained soldiers have failed. But as they hunt for the demon, they unearth a plot to assassinate the Princess herself instead. Asterin and her friends begin to wonder how much of their lives have been lies, especially when they realize that the center of the web of deceit might very well be themselves. With no one else to turn to, they are forced to decide just how much they are willing to sacrifice to protect the only world they have ever known. That is, of course… if the demon doesn’t get to them first. Eternity. It was as endless and grey as the bleak sky above, broken only by the craggy teeth of the mountain peaks. Gusts of snow lashed at barren rock, the bitter wind howling with the fury of a thousand souls forever damned. An ancient mountain, taller than all the rest, pierced the blanket of ashen clouds in the distance, flurries of white spilling over its rugged crests. One side of the rock face was peppered with a handful of tiny hollows. Each hollow led down into another through layers and layers of rock until they all opened into an immense cavern with an arched ceiling and vast walls, buried deep inside the earth. Etched into the ceiling was a carving. A word, in a language as ancient and filled with wrath as the mountain itself, long ago forgotten by mortals—abandoned. This was a gateway to a realm of merciless darkness, of beautiful horrors and bloodthirsty nightmares. In the center of the cavern stood the Woman, her skin pink from the frigid bite of the cold. She paid no heed to the iciness in her fingers as she chanted a feverish incantation beneath her breath. Lines of cobalt light raced from her palms, tearing through the rock floor and sending sprays of debris into the air. Her breaths became gasps as she struggled to maintain her focus, muscles quivering from exertion. A deep hum swelled from beneath the ground, rumbling the walls and felling dust from above in a whirlwind of soot-stained snow. The hum grew to a roar as the light surged forth from the ground, twisting and lacing together to create an egg-shaped cluster suspended high above her head. A mighty bellow shook the cavern as the cluster exploded, revealing a black mass writhing through the air in agony, shrieking and howling with rage. The Woman watched in awe, wrists twirling as she shaped its dark flesh, pulling and pushing, melding it as she pleased. When at last she finished, the creature’s howls had subsided. Gleaming red eyes drilled into the Woman’s very soul as the creature lumbered forward, its lithe, wiry body hunched before her, packed with muscle and covered in silken fur. Translucent wings extended from its shoulders, stretching to the cavern arches, as large as billowing sails. The creature emitted a black aura, pulling light inward—consuming it. She took a step back, not out of fear, but in admiration. It was a lethal masterpiece—a weapon to grant her every heart’s desire and more. “I bow to no one,” it rasped, claws clicking against the stone floor as it approached her. “I am bound to the earth,” it growled. “I need you to perform a task for me,” she said, ignoring it. “A task?” Its eyes glazed over in obedience even as the words left its mouth. The trek back through the icy wasteland took three days, and the voyage south across the Loric Sea to the continent of Aspea another week. They set sail in a small vessel, manned by a burly captain and a boorish crew, all seemingly unfazed by the creature as the Woman guided it onboard. The temperature warmed as they crossed the great blue expanse, the captain navigating the treacherous waters with an expert hand and pockets weighed down with reward. Leaving the boat and the crew docked at a decaying pier on the westernmost shores of Axaria, the strange pair found a carriage waiting for them. The Woman locked the creature in the trunk so it lost count of the hours. Under the cover of a moonless sky, they finally arrived on the outskirts of a small village just on the fringes of a great forest. The Woman released the creature and let it through the village. The village was quiet and calm, the windows shuttered, and the cobbled streets void of life—save for the Woman and the beast by her side. The Woman paused by a brick-laid water well. The creature watched as she lowered the rope and drew a wooden bucket back up. She raised the bucket to her lips with both hands and drank deeply. When she finished, the bottom of the pail still sloshed with water, and the creature saw that it had turned blacker than the sky above. Unaware or uncaring, the Woman tossed the bucket back into the well, where it rattled off the brick and landed with an echoing sploosh. Into the forest they went, the creature merging with the gloom, invisible amongst the foliage. They forged deeper and deeper into the trees until they reached a branched archway leading to a clearing beyond. Tendrils of fog and mist crept through the stale air. “Kill everything in your path,” the Woman crooned as she turned to leave, speaking for the first time since they had left the mountain. “Carry out my bidding and satisfy your bloodlust.” She faded into the fog, no more than a phantom wisp of smoke dissipating into the night itself. “Be my shadow.” The creature felt a breeze caress its muzzle. A sudden, searing heat seeped into the mark she had made across its skin, still encrusted with blood. The Woman vanished completely, her final command ringing through the clearing, yet no louder than a spine-chilling whisper. Asterin Faelenhart ran a brush through her hair, violently untangling the stubbornest of locks with her fingers. She cast a fierce glower at her reflection in the vanity mirror. Emerald eyes stared back, glimmering with the flames of candlelight. Her scowl deepened as she glimpsed the ugly bruise blossoming across her cheek, stark purple against ivory. Sighing in irritation, Asterin pressed two fingers to the blemish and murmured a healing spell. A tingling sensation enveloped the tender spot, the purple leeching away. Halfway through, she hesitated, debating whether her appearance or her pride were of more value. Biting her lip, she imagined her mother’s wrath at seeing her daughter as battered as a street brawler for the third day in a row. The bruise disappeared without a trace a moment later. After dusting fine powder over her face, she twisted her ebony hair into a tight knot. She had to rummage through a drawer to find the tiara, the rubies twinkling as boldly as if they had managed to capture the candles’ embers within. She adjusted it with care. The last thing she needed was for it to fall off—again. A knock echoed through her empty chambers. She rose from her seat, the fabric of her gown rustling as she left her bedchamber and crossed the antechamber into the sitting parlor, the fine-spun rugs softer than clouds beneath her bare feet. The Council of Immortals—the nine gods and goddesses of the Immortal Realm—looked down upon her from their thrones, painted in vivid, life-like strokes along the parlor ceiling. Vicious Lady Fena among her foxes and circlet of fire, elusive Lord Pavon half-hidden in hazy smears of gold with a peacock mask dangling from his slender fingers, and of course, the majestic Lord Conrye with his pack of snarling wolves and sword of unbreakable ice. “Princess Asterin,” said her Royal Guardian. He leaned against the doorframe, ankles crossed, his perfect mouth twisted in a smirk. She slammed the door in his stupid face. The doorknob twisted into her side. She thrust her weight against the door as Orion shoved it open, his gleeful face poking at her from the crack. “No can do, your Highness,” Orion said. “Your mother has requested your presence in her chambers.” He shoved again and her feet slid backward. “When I say requested, I’m being polite. So,” he said, grunting as she gained on him, arms trembling, “I suggest that you go see her immediately.” He suddenly withdrew, throwing her balance and causing her to crash face-first into the wood with a thunk. She could hear him strolling away, his laughter pealing through the corridor like an off-key bell. Forehead throbbing and tiara knocked askew, Asterin hiked her silk skirts up to her knees, muttering vehement, very unprincess-like words beneath her breath as she stuffed her feet into some jeweled slippers and stormed out of her chambers. Two guards waited outside her door, but she signaled for them to stay and bolted before they could protest. Peaked windows lined the white marble corridor, interrupted only by the occasional archway adorned with snow-ivy. The corridor opened into a large alcove and Asterin swerved right onto the spiraling grand stairway, just barely skirting past a cluster of tittering court ladies. Each frosted glass step shined like ice beneath her slippers. One flight up led her to the top floor, reserved for the adjoined quarters of the King and queen, as well as their personal guards. She passed the King’s chambers. No one had occupied them for a decade. At last, Asterin arrived at her mother’s door. She drew in a deep lungful of air before rapping thrice upon the black obsidian, rubbing away the sting in her knuckles with a slight wince as the door opened. The round face of one of the maids peered out at her. Without a word, the girl curtsied and beckoned Asterin through the sitting parlor and into her mother’s bedchamber. Asterin toed off her slippers before entering, feet sinking into the plush carpet. The teal curtains had been braided back, the last of the waning daylight bathing the walls amber. An enormous four-poster bed sprawled across the center of the room, a riot of peacock feathers fanning out over the massive headboard. A slender woman stood silhouetted by the farthest window. Tendrils of blonde hair so light they could have been mistaken for gossamer were piled in an exquisite coil atop her head. Shimmering blue silk—she only ever wore silk—cascaded from her shoulders, rippling on a phantom breeze. From the slant of her spine to the delicate tilt of her chin, her entire being seemed to exude an effortless elegance that Asterin had always struggled—and failed—to replicate. And of course, it was impossible to miss the exquisite diamond spires encircling her head like spears of ice, crowning her as Queen Priscilla Alessandra Montcroix-Faelenhart, ruler of Axaria. The General swept into an austere bow, the lines of her silver uniform sharp enough to cut flesh. “Your Highness.” Her inflection sounded more command than greeting. Carlotta Garringsford had first risen to her position as the General of Axaria when Asterin’s father had just been a boy. And though illness had taken King Tristan nearly a decade ago, Garringsford still appeared not a day past forty, a few strands of silver amidst her perfect golden bun and several crinkle lines between her brows the only signs of aging. She trained right alongside the soldiers and personally kicked the recruits into shape without the slightest mercy herself. Rumor had it that someone once stabbed her in the heart, but the sword had shattered instead. Whereas Asterin had lost her father, Garringsford had once had two sons. They had both been killed while assisting a raid many years ago, not yet full-fledged soldiers—merely trainees that King Tristan had thought might benefit from the experience of tagging along with their superior officers to stamp out a very much underestimated threat. Queen Priscilla sighed long-sufferingly, as if Asterin had already disappointed her. “General Garringsford has brought you a gift.” Her mother gestured and the General strolled over to Asterin, producing a small chest from behind her back. Asterin accepted it warily. A gift? From Garringsford? Now that was a surprise. She placed the chest upon the bed, the silken wood warm and rich beneath her fingertips, yearning for her touch. Even so, she hesitated, tracing the simple but beautiful metal embellishments. But only when her mother cleared her throat did Asterin finally flick the silver clasp and snap the lid open, ducking her head to hide her scowl. Nine iridescent stones in a triangular formation nested upon a bed of viridian velvet. They glimmered despite the deepening dusk, flat and round, polished to a dark, oily sheen so glossy that she could glimpse her reflection within each surface, disrupted only by the different sigils carved into the center of each stone. The sigils represented the nine affinities—the nine elements, each hailing from a different kingdom and bloodline. The three core affinities making up the fundamental trinity—earth, water, and fire—cornered the triangle, the other six falling in between. Asterin had her own set of stones in her room, fashioned of ruby and silver, but these were unlike any that she’d ever seen. Affinity stones could be made from nearly anything so long as the sigils were carved properly, ranging from actual stones to metals, and even wood, but their effectiveness depended heavily on their quality and durability. Asterin didn’t want to pick up the stones. Garringsford wanted her to, and Asterin would never trust anything the General said—not since her father’s death. But her desire to please her mother overpowered her reluctance. Although she didn’t remember it—she had only been a month old—the tale of her Revealing Ceremony had been one of her father’s favorites to recount. Revealing Ceremonies were momentous occasions, a tradition dating back thousands of years. In honor of the first—and only—child of the new royal family, noble and royal envoys from all nine kingdoms had been invited, and hundreds of Axarians had flocked to the capital to celebrate. The ceremony itself was simple—nine drops of blood pricked from each finger but the right pinky. One drop per stone. The sigils on the stones represented not only an affinity, but also a god—for the nine affinities originated from the blood of the Immortals. That blood ran through the veins of every mortal, no matter how small the quantity. At her ceremony, three stones had glowed—those bearing the sigils of Lord Tidus, God of Water; Lady Siore, Goddess of Earth; and Lord Conrye, God of Ice and the House of the Wolf, whose stone had shone brightest of all. Her kingdom had rejoiced. If any other stone had shone brighter, by tradition, she would have belonged to a different House, as her mother did. Queen Priscilla belonged to the House of the Peacock in Oprehvar—for it was Lord Pavon’s power of illusion running through her veins. Asterin returned the firestone to its place. “And you, General? What are your affinities?” She knew the answer, but it was worth asking just to see Garringsford grimace. Almost every person inherited at least one or more affinities when they were born, and some, like Queen Priscilla and the General, would only ever be able to wield their single element. Those who could wield two elements were called difinates. Rarer were trifinates, like Orion. Asterin was multifinate—meaning she could wield more than three elements, though at the time of her Revealing Ceremony, the stones of Lady Reyva, Goddess of Wind, and Lord Ulrik, God of Light, had remained inactive. Her wind affinity manifested when she was six, and her light affinity took three years to follow. There were legends, too, of those who could wield all nine elements, known as omnifinates, their power equal to that of the tenth element—shadow, the affinity born from the powers of King Eoin, ruler of darkness. “What incantations do you use?” Garringsford asked. Asterin opened her mouth to retort, but then her mother’s hand fluttered onto her shoulder and squeezed. “Perhaps you could give General Garringsford an example,” the Queen said, and how could she not oblige? Asterin resisted the urge to grind her teeth and took a deep breath. When her mind cleared, she lifted the waterstone. “Avslorah aveau,” she recited, the language of the Immortals heavy on her tongue. A serpentine stream of water flooded into the air at her command, twisting and swirling around her fingers. She controlled it with ease, dividing it again and again until only individual droplets remained. Her palm rotated and the drops surged upward, an army waiting for the charge order. At the snap of her fingers, they fell as one. Quick as lightning she grabbed the icestone from the chest, freezing the droplets into hail just before they shattered across the floor. Each fragment spread, silver frost racing up the bedposts and the walls—as well as Garringsford’s boots, but the General failed to take notice. Her mother’s expression of absolute astonishment urged Asterin to the windstone. The temperature plummeted as she conjured thousands of snowflakes and churned her fist, the snowflakes swirling faster and faster until snow became storm, howling through the room, tearing at the curtains and whipping General Garringsford’s bun into a disheveled frenzy. Asterin splayed her hand, her storm mirroring her movements and dispersing. Dropping the stones back into their places, she swiped up earth and went to the windows. Pressing her face to the panes and squinting into the gardens below, she twisted her wrist upward. The wisteria trees shot up, their sinewed branches twining toward the sun with greedy fingers. As one, their buds erupted into full bloom, light purple blossoms cascading forth like dozens of waterfalls, hanging low and perfuming the air with their spring sweetness. Nothing happened—not that she had been expecting otherwise. “What are you doing?” Garringsford cut in. Deep breaths, Asterin told herself. “Perhaps I shall, since it appears that your ‘practicing’ is nothing more than a sham of sleeping,” Garringsford said, and Asterin could have sworn she saw the woman smirk. “Shut up,” Asterin snapped. A low rumbling sounded in her ears, but she paid it no attention. As one, the other eight stones in the chest quivered up into the air. An ear-shattering bang tore through the room. The stones exploded in a flash of blinding light, dozens of white-hot shards shooting straight for Garringsford like a mouthful of jagged teeth. “I don’t know how!” she exclaimed, horrified. She did with a gasp, heart thundering in her chest. Garringsford had gone terrifyingly silent, attempting to dig a shard out of her forearm. The color had drained from her face and the smirk was nowhere to be seen. “Yes, Mother,” she whispered, bile rising in her throat. She turned on her heel and dashed out of the room, slivers of stone slicing her bare feet, but she hardly felt them. Stuffing the firestone into a hidden pocket of her skirts, she burst into the corridor, shoeless. Her gasps echoed through the nearly empty halls—luckily for her, most of the Queen’s court had already gone to dinner. Down the grand stairway she ran, only realizing how heavily her feet bled when she nearly slipped, clutching the banister for dear life, a trail of crimson footprints spattered across the glass. Night had fallen, the lamps barely managing to ward off the ominous gloom. As soon as the thought struck her, the flames flared brighter. She averted her gaze and kept running. At last, she reached the passage leading to the medical turret, lurching up the stairs two at a time. Halfway, she crashed into an apprentice, sending scrolls flying down the blood-streaked steps and scaring the poor man senseless. Once assured that a doctor would be sent to her mother’s chambers right away, she found a deserted workroom on the second landing with its door ajar, and scrambled inside. Slamming the door behind her, she pressed her back against the wood, chest heaving. Forcing her breaths to slow, inhaling air infused with the calming scent of menthol and other bitter herbs, she uncurled her fists and took a tentative peek. The firestone had burned its sigil right into her palm, throbbing something fierce. Twisting around, she discovered that the train of her dress was soaked with blood from her soles—a grotesque, weeping mess of gashes. Nothing she couldn’t fix on her own, though. With a healing spell, her skin began to sew itself back together. Moments later, the cuts had closed completely, and the burn had faded without a trace. She couldn’t find it in herself to care about the dress. But of course, no one answered. Listen to Coco Ma’s fiery performance on Show 338 from Carnegie Hall’s Weill Institute of Music here. Listen to our podcast exclusive interview with Coco as she talks about the book and reads excerpts aloud. Born in 2000, Canadian-Chinese author and pianist Coco Ma began playing the piano at the age of five and a half. Since then, she has performed on some of the world’s greatest concert stages and graduated with a pre-college diploma in piano performance from The Juilliard School in New York City. At fifteen years old, she finished writing her first novel, Shadow Frost. Currently, she studies at Yale College. When she isn’t practicing piano, writing, or studying, you might find her bingeing Netflix or eating cake. Lots of cake.